Catch up on some of the highlights on a weekend which also saw the men’s world half-marathon record fall at the Valencia Half Marathon (report here) and British Masters athletes in action at the BMAF Cross Country Relay Championships at Long Eaton (report here). 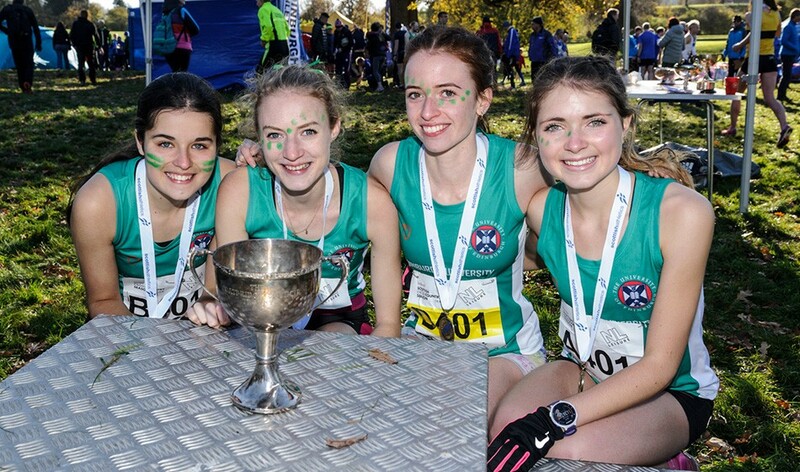 Edinburgh Uni Hare and Hounds completed a Cumbernauld hat-trick as they won senior women’s gold for the third successive year, while Central AC won the senior men’s race for the fourth time in seven years. Fife AC won the junior females race for the first time, while Giffnock North AC retained the junior males title. Conditions were excellent for cross country and with a record entry of 604 complete teams, big crowds cheered on the athletes throughout. 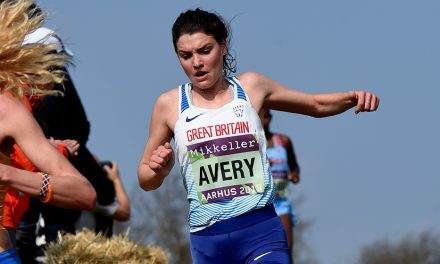 GB international Anna Macfadyen opened up for Edinburgh Uni and established a lead they were never to relinquish as Holly Page and Rebecca Johnstone gave anchor runner Steph Pennycook the perfect platform for success (pictured, above). “I was delighted to bring it home for the Hare and Hounds and that’s a really special three in a row,” said Pennycook. VP-Glasgow took the silver medals in that race, with GB international Josephine Moultrie among the fastest women on the day – although that individual honour went to Morag Millar of Central AC. Kilbarchan AAC had a fine effort for third place with Elspeth Curran on the last leg. 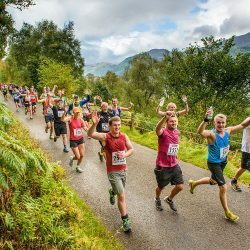 For Central AC, handing over a lead to Alastair Hay after the efforts of Matthew Stirling, Cameron Milne and Scott Green ensured there would be no slip-up en route to glory in the senior men’s race. Kilbarchan AAC were second and Glasgow Uni third. 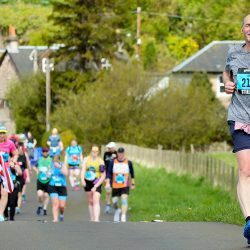 It was a great day for Cambuslang Harriers on the men’s side of things in the Masters and V50 races as they took the golds in both categories, while Shettleston Harriers also made the podium in both events. In the women’s division, there were Masters golds for Hunters Bog Trotters. 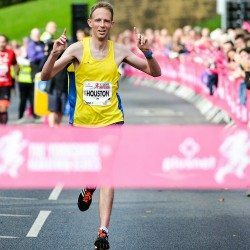 The Edinburgh-based club won that race from Garscube Harriers and Bellahouston Road Runners. In the women’s V50 race, the golds went to Springburn Harriers. 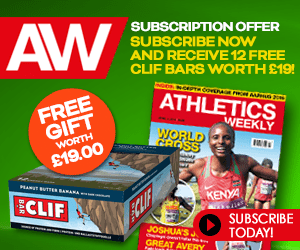 There was an Ethiopian double as Asefa Bekele and Mesera Dubiso claimed victories, while Mick Clohisey and Lizzie Lee won the Irish national titles. Bekele won in 2:13:24 from Kenya’s David Manja in 2:13:33 and Joel Kiptoo in 2:13:42, while Dubiso clocked 2:33:49 for her victory. Clohisey ran 2:15:58 for sixth place overall, while GB’s Josh Griffiths was seventh in 2:16:09. Lee was third overall after clocking 2:35:05 behind Ethiopia’s Motu Gedefa in second in 2:34:22. GB’s JohnBoy Smith won the wheelchair race in 1:36:12 ahead of Patrick Monahan in 1:38:29. Ethiopia’s Kelkile Gezahegn went one better than his runner-up finish last year, winning in cool and at times extremely windy conditions in 2:06:37. 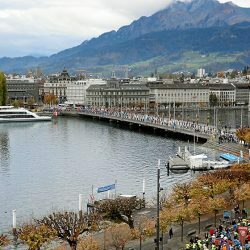 Completing an Ethiopian double, Meskerem Assefa broke the course record with 2:20:36 to win a high-quality women’s race. After a thrilling duel Gezahegn broke away from Martin Kosgey of Kenya who finished in 2:06:41. 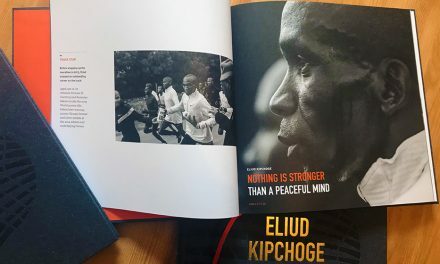 Fellow Kenyan Alex Kibet finished third on his marathon debut in 2:07:09. A world record was broken when Kenya’s 42-year-old Mark Kiptoo finished sixth in 2:07:50, improving the men’s over-40 best by 48 seconds. Arne Gabius was ninth in 2:11:45 for the fastest time by a German athlete this year. Aaron Scott was running for England and finished as top Brit, clocking a PB of 2:16:57 to finish as second European and 23rd overall. Craig Ruddy also ran a PB with 2:17:44 for 25th, while Scott’s England team-mate Matt Sharp was 28th in 2:19:17. Just behind him was Ryan Burling in 29th in 2:20:10 and England’s Steve Bayton in 30th with 2:20:41. Serpentine’s Tony Payne, who runs for Thailand, ran 2:16:56 for 22nd place. There was an Ethiopian clean sweep in the women’s race as Haftamnesh Tesfay was second in 2:20:47 and Bedatu Hirpa was third in 2:21:32 as a total of seven athletes finished inside 2:23. Katharina Heinig was the top Germany athlete in 14th, running 2:29:55. Dani Nimmock finished 23rd for England, clocking 2:38:54, while Amy Clements was 25th in 2:39:50, Katie White 27th in a PB of 2:40:31 and V40 Kelly Crickmore 29th in a PB of 2:42:34. Ethiopia’s Sisay Lemma and Kenya’s Visiline Jepkesho both ran race records to win in Ljubljana. 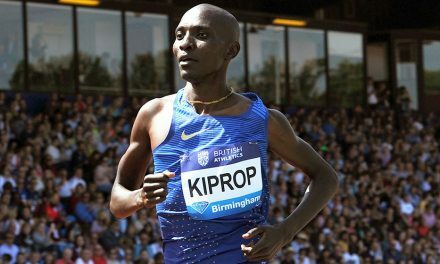 Lemma took more than three minutes off the previous record with his time of 2:04:58, while Jepkesho’s 2:22:58 was almost two-and-a-half minutes quicker than the previous women’s record. 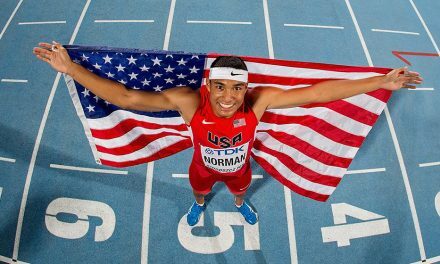 Lemma won by more than three-and-a-half minutes as his compatriot Gebretsadik Adhana was second in 2:08:36 and Hiskel Tewelde of Eritrea third in 2:08:49. Women’s runner-up was Selly Chepyego of Kenya in 2:23:15 from Ethiopia’s Dibaba Kuma with 2:23:34 on her debut. A flooded Venice Marathon was won by Ethiopia’s Mekuant Ayenew Gebre in 2:13:23 and Kenya’s Angela Jemesunde Tanui in 2:31:30 as runners had to wade through ankle-deep water. Japan’s Yuki Kawauchi won the Boston Marathon in challenging wet weather but this time, in even worse conditions, he had to settle for seventh in 2:27:43. Olika Adugna and Gete Alemayehu secured the event’s first Ethiopian double, clocking 60:29 and 68:46 respectively. Russell Bentley regained the men’s title in 2:38:21 after his win in 2016, while Anna Bracegirdle claimed the women’s title in 3:06:02. 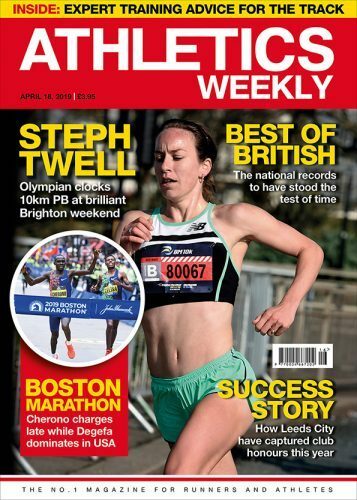 Steph Twell ran 74:01 to win the women’s race and finish third overall a week after her runner-up finish at the 10-mile Simplyhealth Great South Run. Andrius Jaksevicius of Belgrave Harriers ran 71:36 to win overall ahead of Twell’s Aldershot, Farnham and District club-mate Toby Smith with 73:25.